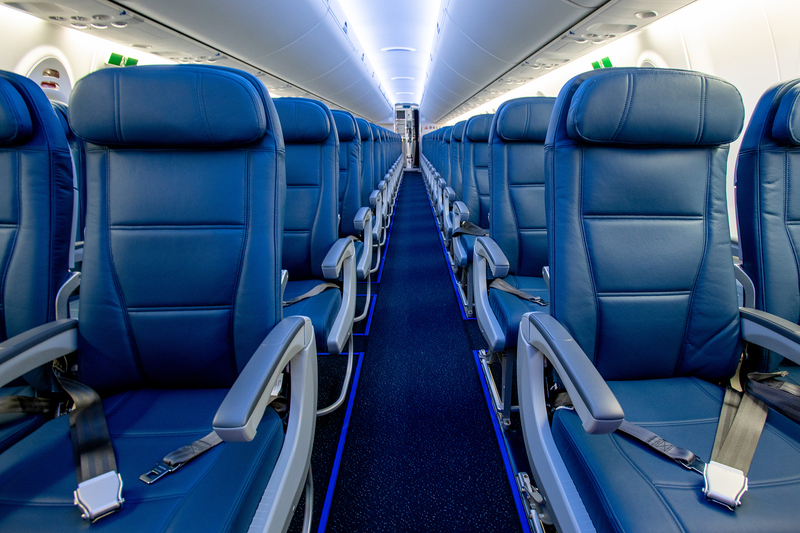 Following the delivery of its first Airbus A220-100 last week, Delta shared a sneak peek of the aircraft’s modern interior with Delta people as the airline celebrated the 10th year anniversary of its merger with Northwest. Designed to be experience-rich for customers, Delta’s A220 will bring elements of the international travel experience that customers have enjoyed on widebody aircraft — like Delta’s flagship A350 — to domestic routes for customers to enjoy at home. Inaugural A220 flights are set to depart on Jan. 31, from Delta's hub at New York's LaGuardia airport to its growing operation at Boston Logan International, and from LaGuardia to top business destination Dallas/Ft. Worth. 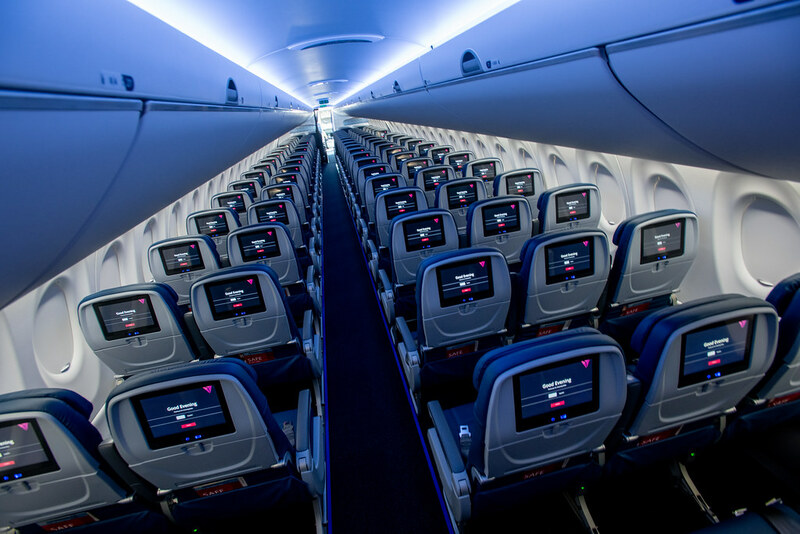 Delta's A220s will feature 18.6" wide Main Cabin seats — the widest Main Cabin seats in Delta's fleet — in a two-by-three layout. Each customer will also have personal power ports and complimentary premium entertainment on individual seat-back screens. 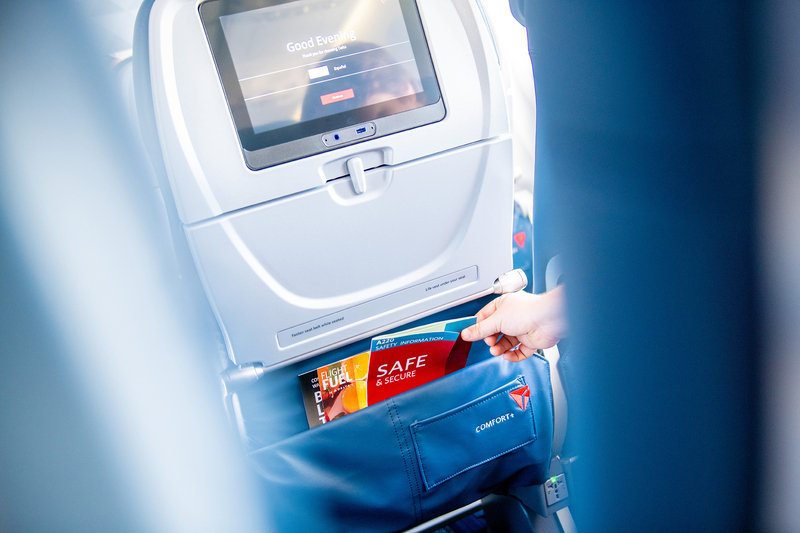 Customers flying in Delta Comfort+ on the A220 can expect thoughtful extras, like more legroom and dedicated overhead bin space, in a customer-preferred two-by-three seat configuration. 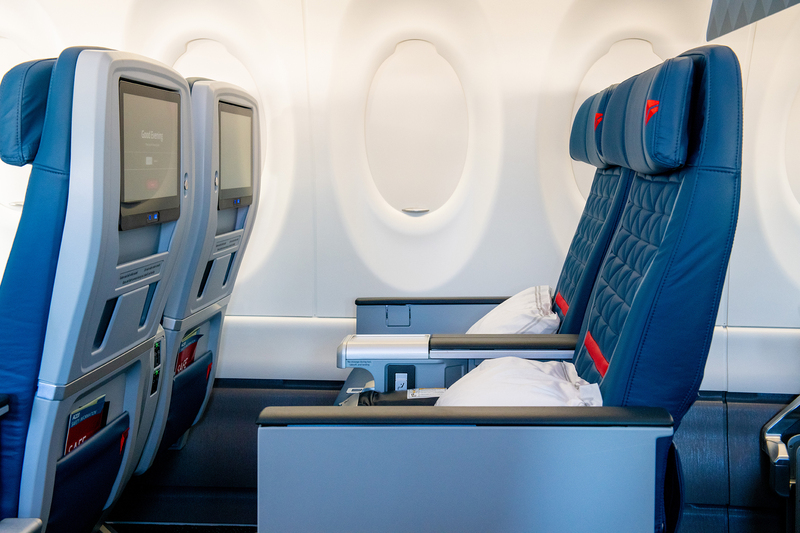 In the First Class cabin, customers can look forward to the debut of a new, modern First Class seat design in a two-by-two layout, featuring the largest IFE screens of any Delta domestic First Class seat. Powered by Pratt & Whitney's latest geared turbofan PW1500G engine, the A220 takes advantage of advanced technology and composite materials designed to deliver an expected 20 percent improvement in fuel efficiency over similar-sized aircraft when it enters service with Delta. Delta's multi-billion dollar investment in the onboard customer experience includes a cabin modernization program featuring new seats, seatback entertainment systems with free entertainment, free mobile messaging, high-capacity overhead bins, access to Wi-Fi on nearly all flights, free Main Cabin meals on select flights, upgraded Main Cabin snacks, the addition of sparkling wine, an Alessi-designed collection of serviceware, Westin Heavenly In-Flight Bedding, chef-curated meals paired with wines hand-selected by Master Sommelier Andrea Robinson, noise-canceling LSTN headphones and more. In 2017 Delta welcomed the A350 to its fleet – the airline's new flagship aircraft introducing the award-winning Delta One Suite and Delta Premium Select cabins.